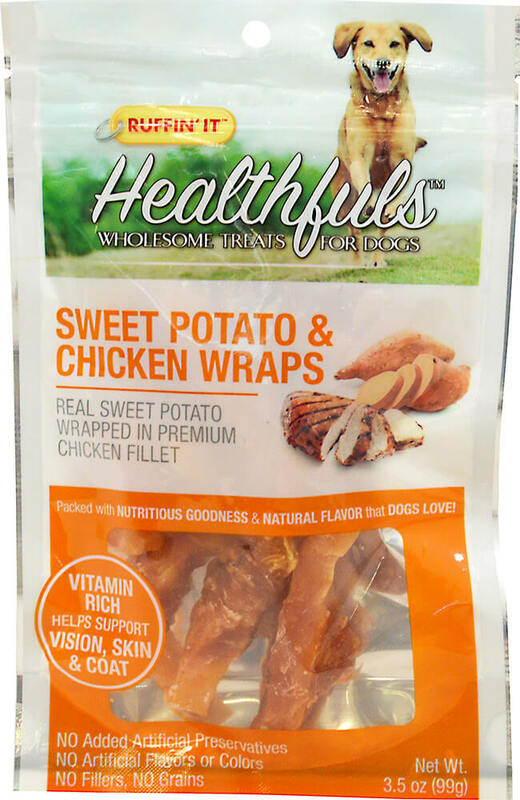 Ruffin' It™ Healthfuls Sweet Potato & Chicken Wraps are packed with nutritious goodness and a natural sweet flavor that dogs love. 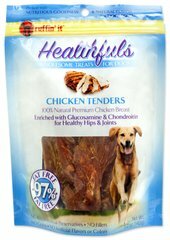 These treats combine the high protein of premium Chicken Breast with the benefits of Sweet Potatoes, one of the most nutritious of all vegetables. 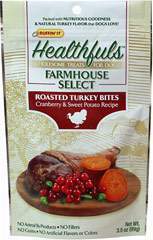 Our Sweet Potato & Chicken Wraps are low in fat and are easily digestible. Chicken Breast: Our premium breast fillets are high in protein and low in fat. 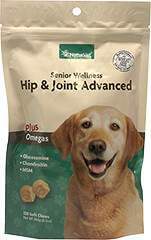 They contain amino acids used in muscle development and help maintain muscle tone. 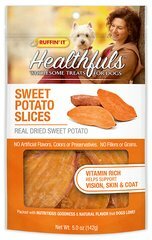 Sweet Potato: One of the best sources of Vitamin A, which assists in maintaining healthly skin and coat in dogs. Vitamin A also supports good eyesight, as does the sweet potato's high level of Beta Carotene. It is also an excellent source of fiber and antioxidants.